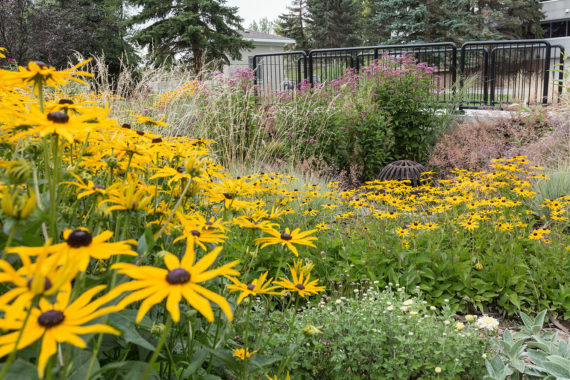 Equipping Albertans to create vibrant, ecologically functional landscapes within the built environment, through comprehensive stormwater management. We need houses and roads for our growing population. Unfortunately, all those hard surfaces result in twenty or more times the runoff than a natural landscape! And that runoff can be quite dirty. Low impact development is an evolution of the science of stormwater management. It is an approach that mimics nature's features and processes in order to minimize and clean up this runoff in the most economical way possible--while maximizing environmental and social benefits. From planning and policy to operations and maintenance, through the design and approvals process to construction...land development has many players and many implications for managing runoff. For a sustainable future, we need to evolve. A low-impact landscape on your own property is an essential component of an affordable, sustainable stormwater management system. Learn how you can do your part...there are many simple ways to get started! EPCOR has released the results of its public survey on citizen priorities for protecting against floods and proposes to review a mix of grey and green solutions. 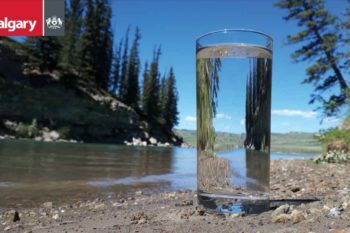 The City of Calgary has released its Source Water Protection Plan. The two main risks identified in the plan are stormwater and wildfire. The Insurance Bureau of Canada (IBC) has released Combatting Canada’s Rising Flood Costs: Natural infrastructure is an underutilized option. 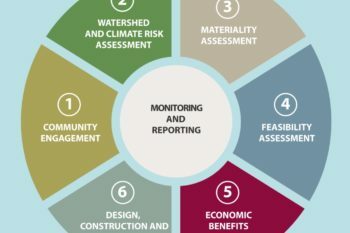 The report affirms that flood risk can be reduced by conserving and restoring natural infrastructure, such as wetlands, and that the return on investment of natural infrastructure can at times exceed that of built infrastructure, such as dams and dikes.